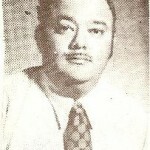 “At the time I was elected President, the meetings were being conducted in what was known as Charlie Corn’s Panciteria. Charlie Corn had set aside a room on the second floor in which we conducted our meetings. The room was devoted to Rotary and all banners donated by visiting Rotarians were on exhibit. Lunches were provided from the Panciteria kitchen and at times were less than outstanding. It was this situation that led to the first time organization of a Food Committee for Rotary. At time of my election, I was Commanding Officer of the Naval Air Station at Guam. From what we could determine at the time, I was the first and probably only active duty military person that had been elected as President of a Rotary International Club. It was a great honor for me. During my term as President, initial contracts were made with Mr. Dave Hoshino concerning the formation of Sister-Club relations with the Rotary Club of Karazawa, Japan. District recognition and districting was also being inaugurated by Rotary International and it was determined that we would be organized into a Japanese district. This was one of the factors that let us into the Sister-Club formation. During my term in office, one of our Past Presidents was being harassed by the community for his line of work. The situation was investigated and in order to get a first hand knowledge of the existing conditions we held a meeting at the Past President’s place of business. Our lunch that day was provided by the Past President and we had the opportunity to examine first hand his operation. It was determined that the situation was not one that warranted harassment and Rotary members lent support to our Past President and thereby enabled him to continue his line of endeavor. 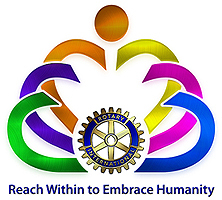 It was a prime example of Rotary service to the members. Before my term, board meetings had been held at various times rather than set dates or days and were sometimes inconvenient for board members. During my term, we inaugurated the evening board meeting in various board members homes and we found that the relaxed atmosphere and the informal manner of holding the board meeting led to efficiency and better attendance. This has continued since that time. 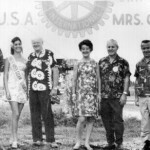 The ending of my term in June of 1971, indicated that the future held for the Rotary Club of Guam formation of Sister-Club relations and the inclusion of our club into the district format. Those future developments. Enabled the Rotary Club of Guam to come of age and be a true member of Rotary International.